Make It Your Own. You Design It, We Build It! Name Brand Parts, Guaranteed Compatibility, Experienced Builders, Industry Leading Warranty and Customer Support. Our Designers know that today’s PC Gamer cares about the little things. The things that take an ordinary build and make it extraordinary. Things like, vibrant RGB lighting, consistent color schemes, high build quality, and professional cabling. We strive to make sure that each build meets our high standards of form as well as function. 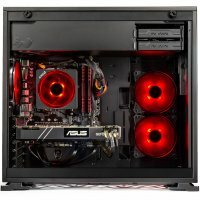 What do The Best Gaming PCs of 2018 all have in common? They have the power to give you the best frame rates in today’s hottest games. At Skytech, we make sure that we have a Gaming PC that will give you the absolute best performance for your money no matter your budget. We keep up with the latest trends and components that give you the highest performance possible so you don’t have to. 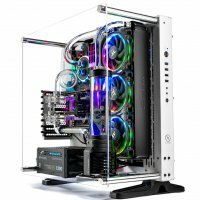 Skytech Gaming proudly designs and hand-assembles each computer in the USA. The result, a product that lives up to the high standards of American Quality. 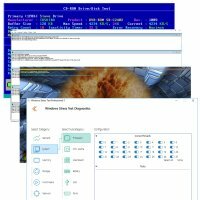 We rigorously test each machine using industry leading hardware and software testing. Each machine is then burned in running at its maximum capacity. This allows us to guarantee the ultimate reliability and longevity of each component we use. 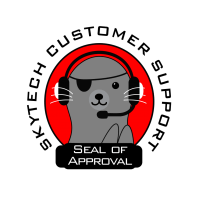 Buy in confidence with Skytech Gaming’s guaranteed lifetime technical support and our industry leading warranties. Our knowledgeable in-house specialists are ready to answer any questions you may have concerning your new Skytech Gaming PC purchase. Technology may progress rapidly, but we will be here with you every step of the way.